Sword to Sword is a martial arts school in Houston, TX that focuses on teaching martial techniques from Europe in the 14th to 17th centuries. We specialize in teaching the German Longsword and Italian Rapier. 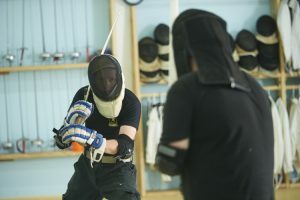 The school offers long sword fighting classes for all skill levels from the beginner to the seasoned martial artist with an interest in branching out into western martial arts. If you ever wondered what it would be like to live in the 14th to 17th century and be a swordsman these are the martial arts of the time that knights and nobility lived and died by! Sword fighting classes are currently taught at two locations on an ongoing basis. 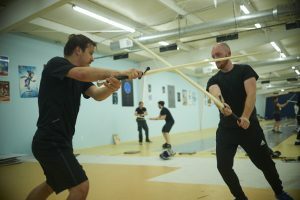 Sword to Sword offers classes five days a week in two Houston locations. 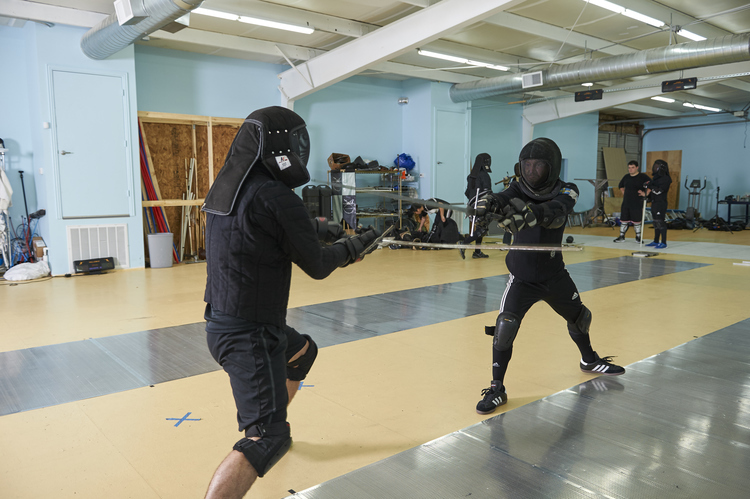 Classes consist of warm-ups, instruction in German Longsword and Italian Rapier, intense physical conditioning, and end with open sparring. 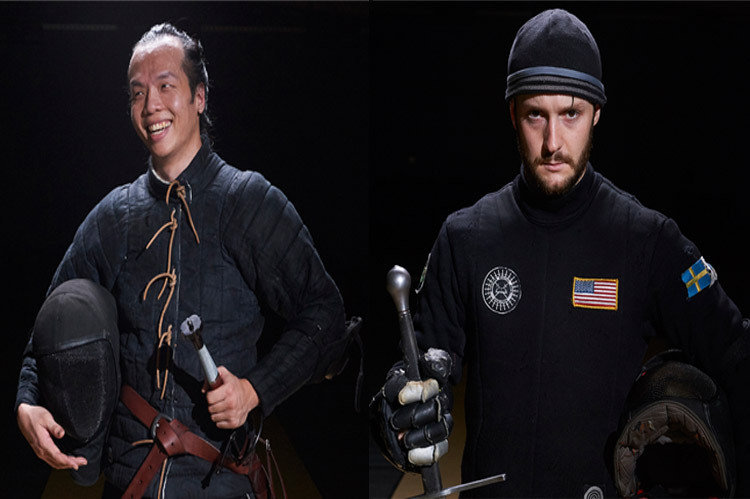 In addition to coached topics, Sword to Sword students are encouraged to branch out into training with different weapons from medieval and renaissance Europe, many of which our instructors are proficient with. Sword To Sword Is A Historical European Martial Arts School In Houston. We teach sword fighting classes based on 13-14th century western martial arts treatises. Copyright © 2019 Sword To Sword All Rights Reserved.